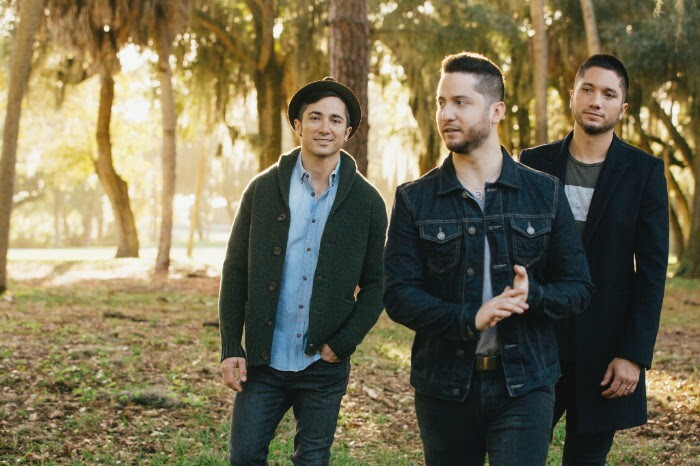 Boyce Avenue, a Florida-based band popular for its strong acoustic roots and melodic rock sound, consists of the three brothers Alejandro, Fabian, and Daniel Manzano. The brothers first came together as a band in 2004 when Alejandro (lead vocals, guitar, piano), Fabian (guitar, vocals), and their older brother Daniel (bass, percussion, vocals) reconnected after pursuing their respective educational goals. While music was always a part of their lives and ultimately their collective goal, pursuing a higher education was also important to the brothers. After graduating from Harvard Law School, Daniel moved back to Florida, to join his brothers Fabian and Alejandro, who were both attending classes at the University of Florida. It was there that the brothers continued to write music and to perform local shows, and took their most formative steps toward becoming a band. In 2007, in an effort to share their music and ideas with the world, the band decided to start filming and posting videos on YouTube of their own songs and some of their favorite songs by other artists. Some of the first few videos they posted included acoustic versions of songs such as Justin Timberlake’s “LoveStoned”, Rihanna’s “Umbrella”, and Coldplay’s “Viva la Vida”, among many others. Early on, the band wanted to set itself apart from other acts that had achieved success online by taking its music straight to the people, live. Believing firmly in the strength of their online fans, and in its music, the band booked a stand-alone show in New York City in January of 2009, for their first ever performance in the city. Surprising label and industry folks alike, the show - perceived by others as a gamble - was an enormous sellout and success. Since then, the band has been steadily touring the world over with similar results. In early 2009, the band performed for an estimated total of 25,000 fans over four headline shows in the Philippines. And on the heels of its whirlwind success in the Philippines, the band launched headline tours in the USA, Canada, and Europe. In response to the staunch support of its fans, this Summer/Fall of 2011 sees the band playing headline shows in Indonesia, Australia, USA, Canada, and Europe, and playing in iconic rooms thoughout the world, such as The Fillmore in San Francisco, Webster Hall in New York, The Riviera Theatre in Chicago, The Sound Academy in Toronto, Shepherd's Bush in London, The Olympia Theatre in Dublin, and Live Music Hall in Cologne.